A Viking armada of ships headed south towards the Mediterranean in 859 CE. 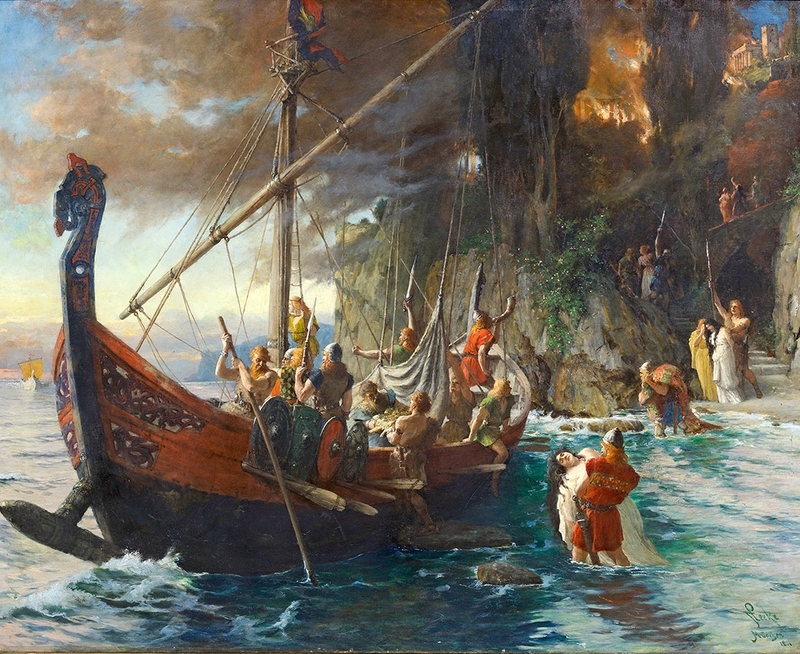 Björn Ironside and his mentor and fathers close friend Hastein conducted many raids in France in a continuation of the tradition initiated by their legendary father Ragnar Lothbrok. 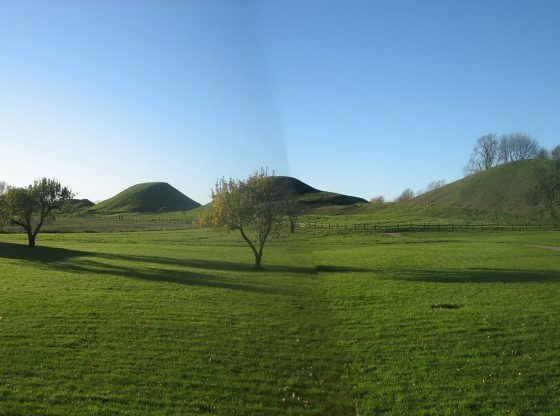 Led by chieftains Björn Ironside and Hastein, the Scandinavian warriors had their goal set – the sacking of Rome. It was one of the most powerful and richest cities in Europe but was equally well defended and the Vikings must follow an elaborate plan if they were to be successful. Paris was the largest, richest and probably the best-defended city in Northern Europe at the time. 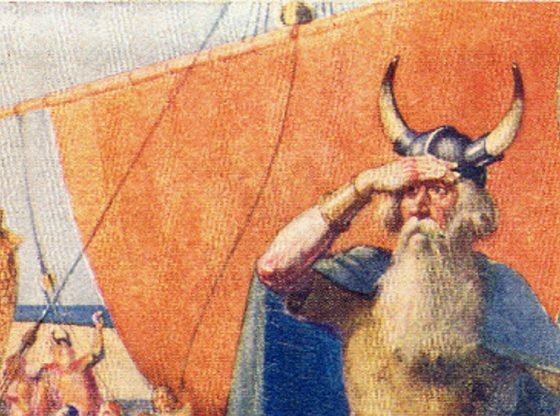 It was sacked by 5,000 Vikings led by Bjorn’s father Ragnar Lodbrok in 845 CE. King Charles the Bald paid a huge ransom of 7,000 pounds of silver to Ragnar, to make them go away. It only spurred them on and the Vikings returned to sack the city 10 years later, but the French were now prepared and able to repel the attack. Bjorn and his men returned with a vengeance in 857, and when looting finally stopped, Paris was in ruins. Only four out of the more than 25 churches were left standing by the Vikings. The successful attack on Paris encourage the Vikings on and the two chieftains Bjorn Ironside and Hastings next target would be an even greater prize than Paris. The cities of dark age Europe tended to become larger and wealthier the farther south you traveled and no city was larger, richer and more glorious than Rome, the Eternal City. Bjorn and Hastings set course in 859 CE with 62 longships and a large Viking army. Traveling along the coastline of France, the Armada was already heavily laden with gold, silver, and other goods when arriving in Spain. A large portion of the Iberian peninsula was then controlled by the Muslim Moors. A Viking skirmish a few years earlier to Moor lands resulted in a crushing defeat for the Vikings, who were barely able to make their way home, the few left that was left alive were forced to pay a ransom to get away with their life. But this devastating defeat would not scare or extinguish Bjorn Ironside and Hastein thirst for vast treasures and glory. The Viking fleet sailed up the Guadalquivir river to plunder the rich city of Seville but ended up in a sea battle with a large Moor fleet. The northerners lost two ships only but decided it was best to sail on through the Strait of Gibraltar and into the Mediterranean. They continued to loot along the Spanish coastline and also raided along the North African coastline. They then sailed along the Northern Spanish and French coastline and eventually arrived at the Apennine Peninsula and Italy. 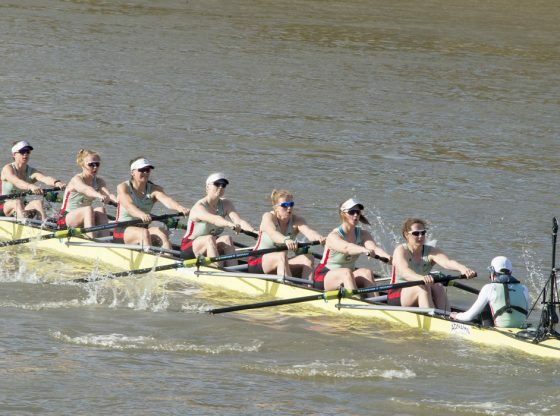 They were closing in on their goal. They continued to loot and plunder everything and everyone that came in their way. Björn Ironside and Hastein continued along the Italian coast until a city made out of shining white marble was observed in the far inland. They historical record describes temples and amphitheaters. A city surrounded by green, lush oases, vines and olive trees. 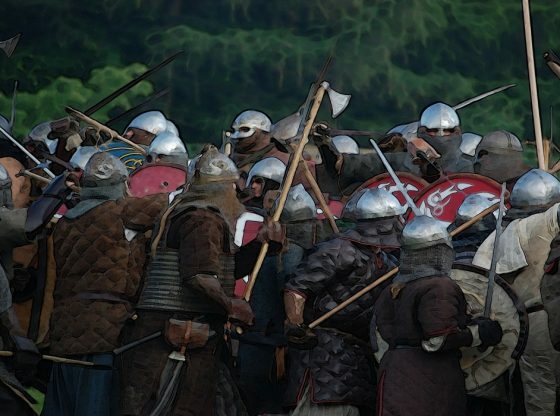 The Vikings approached the city and it suddenly seemed less inviting. 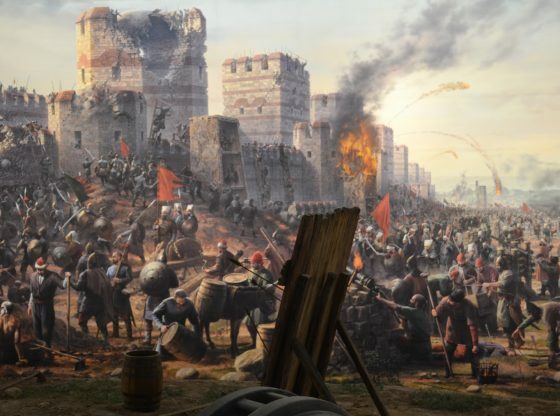 Surrounded by thick walls and high towers and guarded by heavily armed soldiers. Björn Ironside and Hastein realized that it would be suicidal to attack such a well-guarded city. 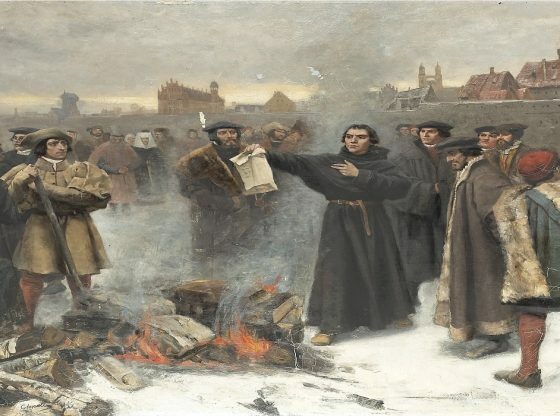 The French priest and chronicler Dudo of Saint Quentin record how Hastein reasoned that since no force in the world could conquer the city, it must instead be taken by trickery and cunningness. The next morning a group of Vikings approached the impressive walls. They called out to the guards that they wanted to talk to the city council. After a whilst the city’s top people arrived at the city walls – probably quite anxious to hear what these long-haired, fur-clad barbarians had in mind. After the baptism, Hastein was blessed and anointed with holy ointment and oil from the bishop. The ‘dying’ warrior smiled during the ceremony. He fell backward on a stretcher and was carried back to the ships by his companions. The town leaders went right into the trap and allowed them back within the city walls. Hastein lay on a stretcher surrounded by all his weapons. The chieftains most faithful men carried him forward and wore their most beautiful weapons in honor of their dead leader. A growing number of city residents joined the funeral procession. The priests were dressed in red and purple, choirboys carrying candles and crosses joining the congregation. The Vikings and townsfolk walked side by side and carried the chieftain into the church, where Hastings’s body was placed in a coffin. Bjorn Ironside and Hastein men spread out and suddenly, the coffin lid fell to the church floor with a bang and Hastein jumped out. He quickly got hold of his sword that lay before the coffin, and the sharp blade glistened in the glow of hundreds of candles. The bishop was still standing with the Bible in his hand when Hasting ran his sword through him. While the Vikings blocked all the roads out of the church and took their weapons. The defenseless townsfolk were trapped in the church and the Vikings seemed to have turned into ravenous wolves in a pasture with lambs. Priests, monks, women, and children were killed without mercy. The wild horde poured out of the church and along city streets. All resistance was cut down while some of the Vikings made their way to the closed city gates. The gates were opened and the northerners rushed inside. The residents tried to defend their city but were caught between the two groups of warriors and stood no chance. All resistance had now been crushed and the city was in the hands of the Vikings. Rome fell to the Vikings and the triumphant Hastein commanded the Romans to kneel and pay homage to him as the ruler of Rome. 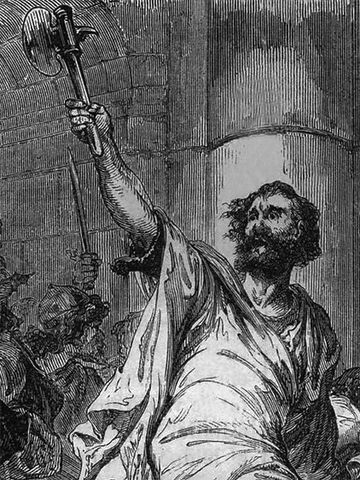 While the Vikings triumphantly stood around their chieftain, one roman dared to speak. This is not Rome, but the city of Luna (Etruria). In their eagerness to conquer the world’s most powerful city, the Vikings went ashore too far north. Histoire Populaire de la France 1st edition, author: Ch. Lahure. Hasting was infuriated. Outraged, he shouted that Luna would be punished for this. He gave orders that the city would be emptied of everything of value and then set it on fire. 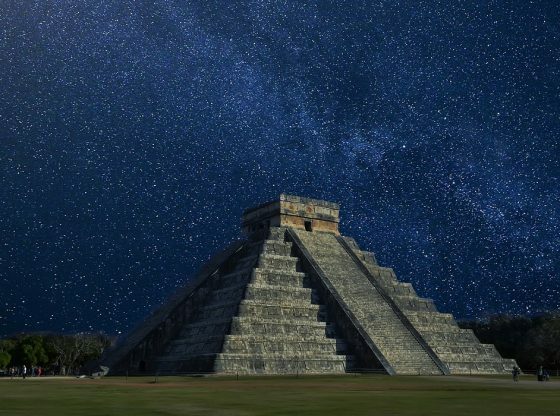 The city’s inhabitants would be taken away as slaves or be killed. The Vikings went berserk and ran amok in combat intoxication. Defenseless women, children, and monks – none escaped the fury of the Northmen. After looting the city of Luna, Bjorn Ironside and Hastein sailed southeast according to some sources, perhaps to Alexandria in Egypt. 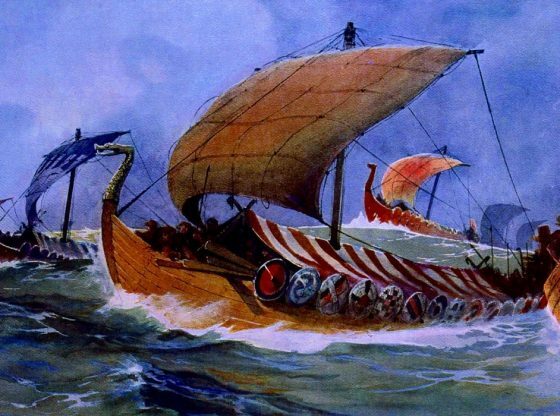 But after ravaging the Mediterranean for a few years, the two Viking chieftains eventually turned their ships back home. The Moors had not forgotten the Viking raids along the Spanish and North African coasts and in the Strait of Gibraltar, a Muslim fleet was ready and waiting to attack the Vikings. The Northerners were exhausted after three years of constant looting and their ships were heavily laden with booty. Their passing of the narrow Strait of Gibraltar ended in a massacre. 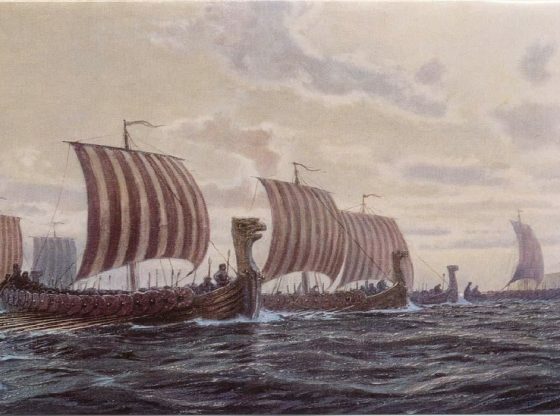 The Viking fleet that was able to sail through Gibraltar and reach the Atlantic numbered only 20. 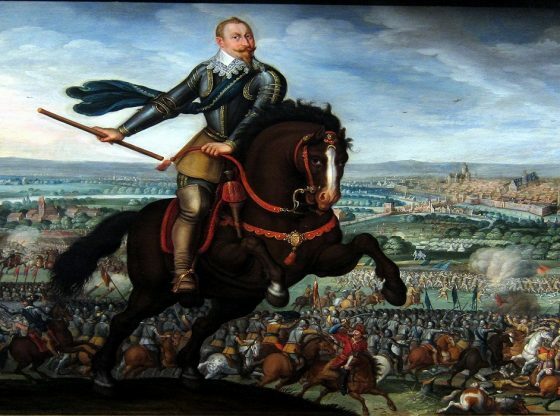 To restore the morale of his men, and loot some more, Björn Ironside and Hastein ordered their men to sail and loot the Navarra region in the Christian part of Spain. The Vikings sailed inland conquered Pamplona and demanded a large ransom for the release of the city’s ruler. In 862 CE, three years after the Vikings set sail for the Mediterranean from France, they once again arrived at the French Loire River.